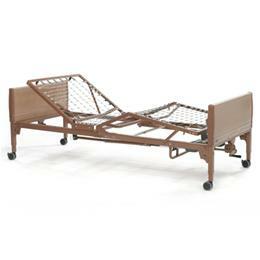 The package comes complete with new home care foam mattress and half-length side rails. Bed height (floor to bed deck): 15″ min. – 23″ max.